Hi, Inkmoth - honestly it's no trouble. As a lover of niche builds (like Gonti food chain, venser food chain, yisan etc.) 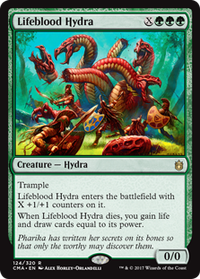 I can't help but love the idea of mono green combo-control. I'll start collating the data, but my testing won't be as close to the mark as somebody who plays this as their deck often (I'd never even thought of fetching to clamp Dryad Arbor - that's genius - using it for EE & friends? Also great thinking). While you're right about Brown Ouphe needing haste, it's a seriously good option for turning off scepter while they dig for a bounce spell, but using Ouphe Vandals vs scepter builds is still good! It's a very corner-case card, but I play against a lot of storm decks, so I've looked for just about every hatebear I can against these; I hope you find a slot for it though YMMV. I'd be interested to see this cEDH viable windgrace build as it sounds neat; I see how the suggested lands are likely not ideal for yourself - I just find that in Yisan there are occasions (ie post LED) where the draw is necessary. How's your experience with Shaman of Forgotten Ways ? I'd not considered it, but against my meta it seems smart in yisan & yeva; but it feels win-more due to needing formidable & 11 mana - is it easy? Unlikely include, but you mention the use of Voyaging Satyr & friends - I'd recommend trying Magus of the Candelabra with Maze of Ith , as it opens up the possibility for t2 wins with infinite mana (though very rare), but it's also a 3 card way to achieve unbounded mana with gaea's cradle. Conversely you could use Ley Weaver (superior to Argothian Elder as it gives you a free shuffle) as a way to gain wins with Maze of Ith . I'm testing these out atm and find that using ley weaver is simpler in yisan, as you can either naturally draw maze / tutor via Sylvan Scrying . Jund_Machinist on Fast and Furious: Freyalise Edition! Also want to add Yavimaya Hollow , Magus of the Candelabra , Fauna Shaman , Survival of the Fittest , Scroll Rack , and maybe Skullclamp . Wolfbriar Elemental , Cavern of Souls , and maybe Heroic Intervention too. Hey, for improvements consider more draw, recursion, tutors and more powerful mana sinks? 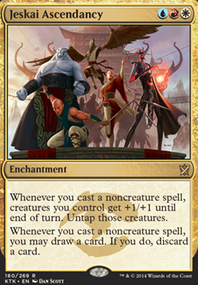 Nikya's ability doesn't let you cast noncreature spells so you need to be creative in how you can tutor for creatures. Fauna Shaman is great, but you need to draw her or have ways to tutor for her. Nikya can make a lot of mana with her ability, but you need creatures to use all the mana with. You will not always have a big creature to use all the mana to cast therefore mana sinks give you something to use the mana with. Duskwatch Recruiter Flip: front side is a mana sink repeatable way to get creatures into your hand. Walking Ballista : mana sink that can kill all your opponents. Combos well with Candelabra. Magus of the Candelabra : mana sink to untap all your lands and make even more mana. Genesis : repeatable way to recur creatures. Good with Fauna and Greater Good. Elvish Harbinger : tutor for one of Fauna, Whisperer, Oracle, Empath, Piper, Vastwood, etc. Mwonvuli Beast Tracker : tutor for one of Runic, Soul, Vigor, Forerunners, etc. 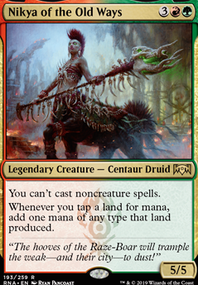 Temur Sabertooth : mana sink/repeatable bounce of creatures, combos well with Genesis Hydra or any other creature who has a powerful ETB ability. Good with the creatures who ETB to tutor for another creature. Steel Hellkite : mana sink to completely wreck opponent you're attacking or do a lot of flying combat damage. Wood Elves : put a dual land onto the battlefield: Glade, Thicket or Stomping. Garruk's Packleader : draw when big creatures ETB. Greater Good : combos well with Genesis, puts Genesis in graveyard, repeatable way to draw a lot of cards and then recur the creatures you discard or sac. Moonveil Dragon can be heavily abused. I can't think of a lot of gruul activated abilities matter creatures..but if you can divine up some more..the instant speed plays of abilities with doubled mana will serve you well. Mina and Denn, Wildborn and Wayward Swordtooth push both your strategies and don't cost an arm and a leg like Azusa and oracle. Did I say Magus of the Vineyard? I meant Magus of the Candelabra . They're both good though! I really don't get your justification for not playing Utopia Sprawl . So what if it's used in a Stompy deck? That doesn't make it any less good as a ramp spell. In other words, just because a card makes you think of a certain type of deck doesn't mean it only works in that type of deck. Like, Lightning Bolt is Burn's best card, but it's also used as a removal spell in UR and Jeskai Control decks, which are on the opposite side of the spectrum. Plus, with Utopia Sprawl, you can pull off the turn 5 Spawnsire win you wrote about in your description on turn 4 without having to play Harmonize to draw the rest of the cards you need. Turn 4: Draw a card (it'd have to be a Spawnsire or an Early Harvest if u had Spawnsire in hand) and then Spawnsire ftw! If you went second the extra card would give you a lot more options for getting to 30 mana on turn 4, and I'm sure I missed a few routes up above. 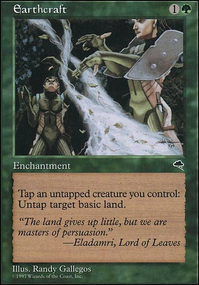 But other than allowing the turn 4 win, Utopia Sprawl also just speeds everything else up a lot with Arbor Elf, letting you play 4 mana worth of ramp on turn 2 or a Prime Time on turn 3 (you don't even need any extra ramp to do that), and unlike Joraga Treespeaker , it is also untapped by Early Harvest . 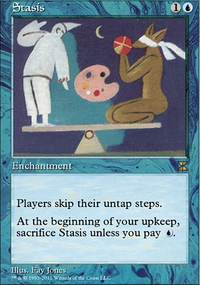 It might be worth testing some more untap land effects like Voyaging Satyr and Magus of the Candelabra (Magus especially seems neat; it's kind of like an extra Early Harvest). 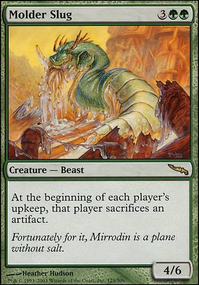 Also, here's a Spawnsire of Ulamog deck I saw a while back (almost a couple years ago I think): https://www.mtggoldfish.com/articles/much-abrew-harvest-wave-modern (Note that it used both Utopia Sprawl and Fertile Ground to great effect). Idk if it helps at all, but it's nice to look at a different take on the same deck to get some ideas. There are also some G Devotion lists that make a ton of mana with Nykthos, Shrine to Nyx + Garruk Wildspeaker . You mentioned not being able to procure a candelabra, well how bout using Magus of the Candelabra?